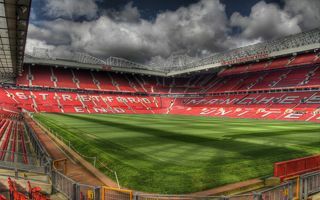 As every year since 1996/97, the British office of Deloitte released the Football Money League report, showing the best performing clubs worldwide in terms of finances. There's no surprise in continental division – only clubs from Europe were able to reach the top 20 with best non-European side being ranked 24th (Corinthians, Sao Paulo). And within Europe only six countries have any representation on the list. England leads the way with 6 clubs, followed by Germany and Italy (4 each), Spain (3), Turkey (2) and France (1). Altogether the richest clubs reached €5.4 billion in annual revenue in the 2012/13 season, which means they went up 8% on average. Deloitte suggests the wealth of world's richest clubs is growing very significantly overall. In the first edition of this report only Manchester United had revenue of over €100 million. Meanwhile today this wouldn't even allow reaching top 30.